Open-heart and cardiac operations require surgeons to use heart-lung machines, or equipment that continues to pump oxygen in and carbon dioxide out of patients’ bodies. Perfusionists specialize in operating and monitoring these machines, as well as informing the surgical teams of any changes in patients’ vital signs during the procedure. To pursue a career in cardiovascular perfusion, entry-level workers may become perfusionist assistants to gain experience in the field before earning professional certification. The average salary for perfusionist assistants was $26,000 according to a July 2011 Simply Hired report. Besides assisting perfusionists with clerical tasks, perfusion assistants set up and ensure that equipment, including heart-lung machines, are working correctly. During an open-heart operation, perfusion assistants may perform clinical tasks such as balloon pumping, timing the inflation and deflation of intra-aortic balloons during the procedures. They also oversee the handling of blood and ensure that's properly processed, sterilized and stored. Other duties that fall under a perfusion assistant's domain include moving patients from the operating room, updating patient charts and medical checklists, and ordering and restocking medical supplies. Average salaries for perfusion assistants fluctuate across different states, according to a July 2011 Simply Hired report. For example, perfusion assistants working in California averaged $30,000 per year. In New York, perfusion assistants averaged $31,000 annually. Perfusion assistants employed in North Carolina reported an average salary of $24,000 per year, while professionals in Colorado averaged $28,000 per year. 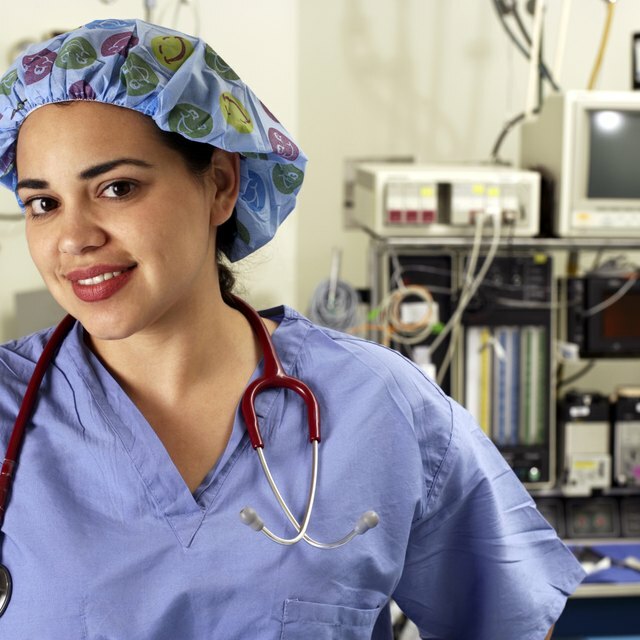 In comparison with the larger profession of clinical medical assisting, perfusion assistants average lower salaries than medical assistants overall. The Bureau of Labor Statistics states that medical assistants — which include perfusion assistants — averaged $29,760 per year. Although earners within the 10th and 25th percentile of earners averaged between $20,810 and $24,370 annually, salaries for medical assistants averaged as high as $40,190 for top earners. Certain medial assisting annual wages were comparable to perfusion assistants. For example, the bureau showed that medical assistants working in health care practitioner offices averaged $26,820 per year. What Are the Duties of a Pharmacy Manager? What Is the Difference Between Utilization Management & Utilization Review? Similar to other health care occupations, perfusion assistants should expect positive job prospects between 2008 and 2018. Jobs for medical assistants are expected to increase 34 percent during this period. The Bureau of Labor Statistics attributes this growth to technological advances in medicine and surgical procedures, as well as an increase in group practices and medical clinics that hire large numbers of administrative employees. Perfusionists will also be in demand as conditions such as obesity fuel heart-related surgeries. The growing elderly population will also spur employment for perfusion professionals, as this segment suffers disproportionately from heart-related illnesses. Perfusion assistants with post-secondary training and CPR or basic cardiac life support certification should be best positioned for jobs with high salary and career growth potential.